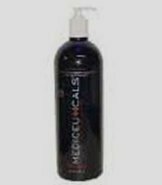 Mediceuticals is a brand under the umbrella of Born Hair Care, a company that has been around for more than 30 years. This company is run by professional hairdressers which means that they have first-hand knowledge about the different hair types. Moreover, Mediceuticals offers effective treatments for different scalp, skin, and hair problems. Their product development process includes pharmaceutical research and multiple clinical trials to make sure that their products are both safe to use and effective. In addition, the ingredients of products are made from non-aggressive and natural raw materials. It is also important to mention that their formulations are clinically-tested and approved by the Food and Drug Administration. Under Mediceuticals is a line called Scalp Therapies that feature the Therapro Exfoliating Dandruff Shampoo. They claim that this shampoo is not only effective in relieving dandruff and psoriasis symptoms but also leaves your hair soft and manageable. Check out the detailed discussion below to find out if Mediceuticals’ claims are true or not. It is recommended by hair experts. It does not dry hair. This anti-dandruff shampoo is effective in relieving dandruff symptoms. It contains olive oil and salicylic acid which are also known to prevent dandruff. It contains menthol to freshen up scalp. It helps relieve psoriasis as well. You will see results after a couple of uses. This shampoo may be strong for some users. Therapro Exfoliating Dandruff Shampoo has an FDA-approved formula that is effective in relieving psoriasis and dandruff symptoms. In addition, it has a conditioning formula so your hair won’t be left lifeless. It also contains olive oil which is known to help moisturize the scalp and hair as well as menthol to help you feel fresher after every wash. Moreover, it’s main dandruff fighting ingredient is coal tar soluble extract. The active and inactive ingredients in this shampoo help remove flakes, relieve itching, and inflammation. This is safe to use for all types of hair including those that are color treated and leaves a very pleasing scent after every wash. Finally, it won’t leave any residue as it rinses clean. Similar to the Therapro Exfoliating Dandruff Shampoo, the Jason Natural anti-dandruff shampoo also helps relieve dandruff symptoms such as flaking and itching. This product also helps relieve the symptoms of psoriasis and will leave your hair manageable due to its conditioning formula. Similarly, since it contains an anti-dandruff formulation, this FDA-approved shampoo is safe to use for all types of hair including the ones that are color treated. Both Jason Natural and Therapro Exfoliating Dandruff Shampoo contain olive oil which helps in moisturizing the hair and scalp as well. As for their differences, Jason Natural contains organic and natural ingredients that pregnant women can safely use while Therapro contains salicylic acid which is known to be risky for expecting moms. Jason Natural is a gluten-free shampoo that also does not contain parabens, petrolatum, phthalates, sodium lauryl or laureth sulfates, and phthalates, whereas Therapro has some of those. When it comes to their active ingredient, Jason Natural’s is pyrithione zinc control, and Therapro’s is coal tar soluble extract. If you have tried every dandruff shampoo sold on the market, but you are still experiencing dandruff, we highly recommend Therapro Exfoliating Dandruff Shampoo because this product has one of the most advanced formulations around. It is proven to help relieve the symptoms of dandruff, psoriasis and other extreme scalp problems. You are also assured that this product is safe to use because its formulation has been approved by the Food and Drug Administration. To add, Therapro is very effective in eliminating dandruff problems and contains a conditioning formula which leaves your hair and scalp moisturized. The only drawback that we see is the burning sensation one might experience during the first use. It is important to note, though, that the burning sensation is normal and is a sign that product is working on eliminating the symptoms of dandruff.